Rev. 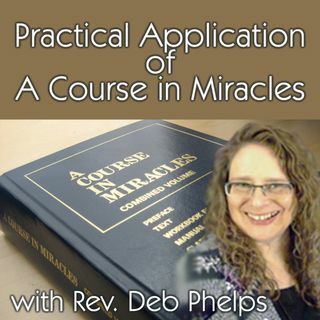 Deb teaches on "The Message of the Crucifixion" from A Course in Miracles. We find that the crucifixion was the last useless journey the Sonship need take as the truth of Who we are in indestructible. However, we have seen ourselves differently and sided with fear. The resurrection becomes our reawakening or the remembering of the Truth. Love is Who You Are, and ... See More nothing can change that fact. Your donation helps to support this broadcast and our ministry!